When I was a kid, long before I had video games or sport cards, I had a deck of playing cards. Yes, playing cards. I had a creative mind and always found ways to keep myself occupied when spending the time at my grandmothers on the weekends. Normally we would play tons of my favorite board game Monopoly, but sometimes she would take a nap so I would have some down time. 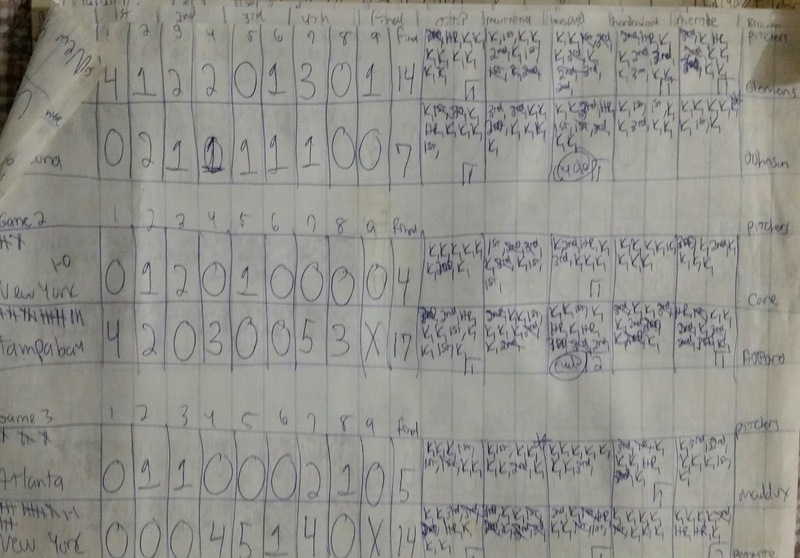 I started to figure out to involve sports into my playing cards and created an in-depth card game for both baseball and basketball and recently came across some of my papers from when I used to play them. For basketball, I was always my favorite team from the 90's, the Knicks. I don't remember how my games were set up but I somehow had a starting five for each team and they scored points. I would play opposing teams and even playoff games as the season went on. 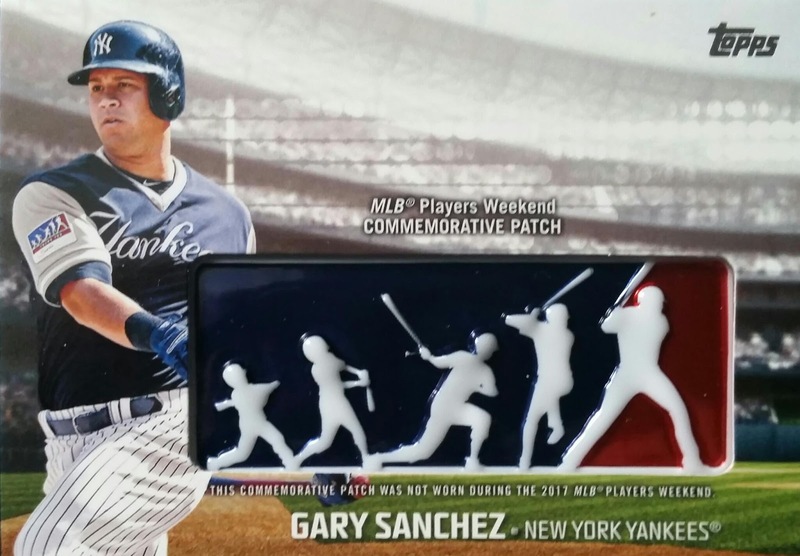 For baseball, well, I was the Yankees. Same scenario as basketball and my memory doesn't help me with how I played the games. I sometimes wish I could remember how to play the games. Maybe I would give it a shot again when I had some down time. Usually the small window of downtime I have is used up with blogging, the hobby or Madden but maybe I could rotate this in as well. A calming game card game would be nice to have in my back pocket. 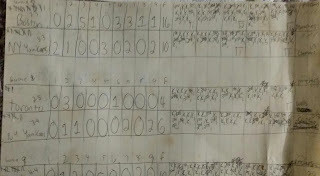 All I have to go by for now is scores and how I kept score. Outside of that, well, I don't have a clue. Speaking of keeping scores, I do this with cards. I score up the totals I have for certain PC's and write them down vs other PC's to see which one is winning. It's not as complex as my playing card game thankfully, but it is something extra fun I do to see if I can even the score with some. My latest mail day from Night Owl Cards helped add to my totals. 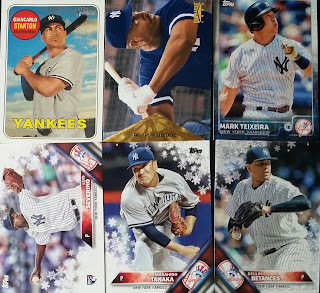 Up first, some Yankees including Giancarlo who I am considering PCing in Yankees or Marlins uni. 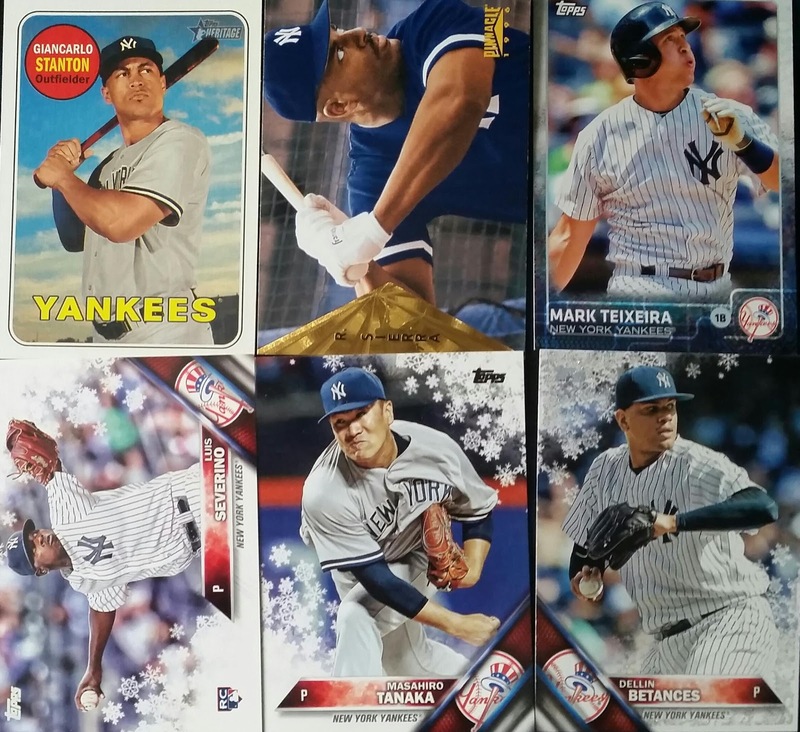 I really need to start doing a total number of cards on the team as a whole and for some of the individual players besides two that I do. Maybe that will be my next hobby project. 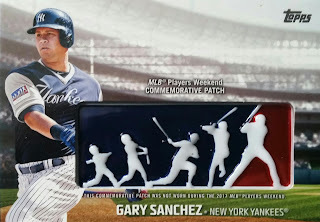 I think my Yankee collection is pretty deep and may be as deep as my NY Giants collection except with a lot less autographs and memorabilia. 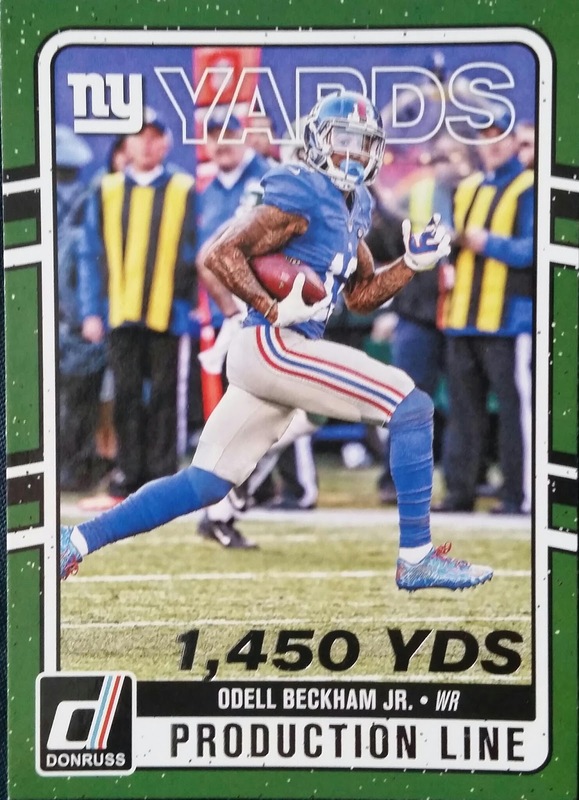 Next card is this Odell Beckham Jr. I am so, so, so sick of hearing about the trade rumors with this guy. The Giants would be stupid to trade him. He is easily a Top 5 WR in the NFL if not Top 3. Yes, he has some off the field problems and sometimes on the field, but the talent is there and he makes the offense go. He will be a Giant. I am sure of that. I just hope he can work on himself personally. 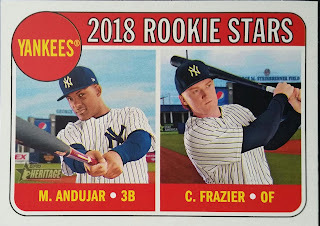 Swinging Judges. 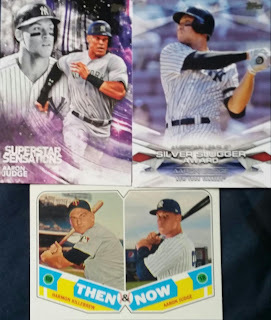 Three new ones for my PC. I think he will still do well this year but not anything close to last year. My prediction is 28 HR's. 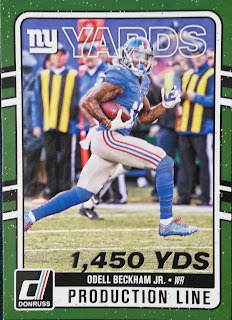 As soon as I saw Greg post this pull from some packs he busted, I wanted it. So glad it was available for my PC. It was one great score! Now I just need to acquire Part A of the card, the other side, somehow. 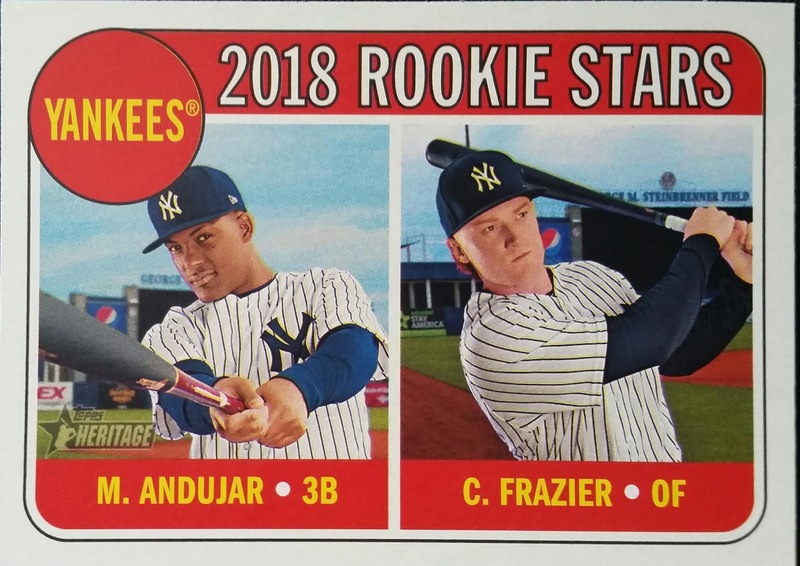 Two future Yankee stars. They have so much depth now for youth. Not something I could say years ago as they used to trade this talent away. It's paid off for them now to keep it. 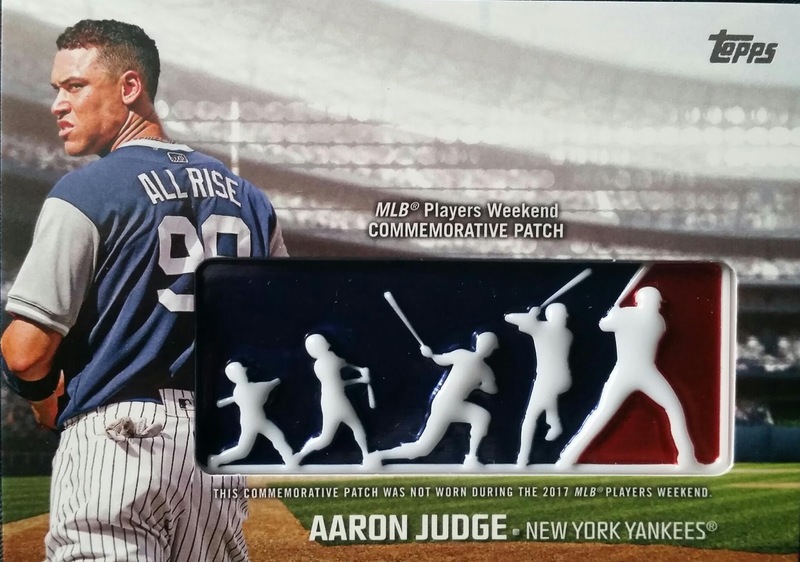 and All Rise for Aaron Judge. 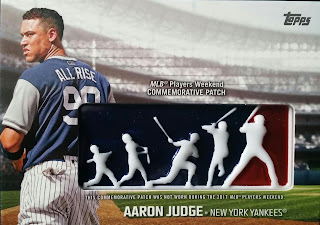 Yankees 7 Aaron Judge 4-Yes Judge is a Yankee, but in my collection he is a separate PC along with Derek Jeter. 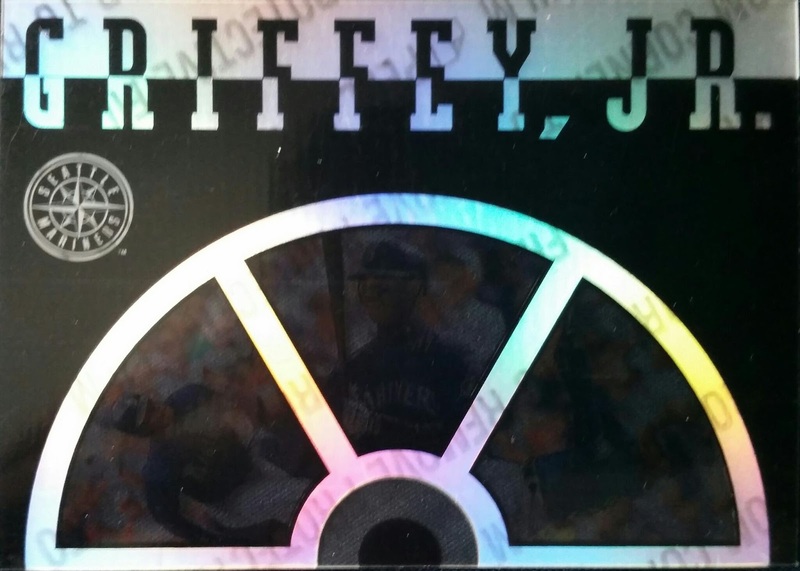 Odell Beckham 1 Ken Griffey Jr 1-guess this one will have to go extra innings or overtime! Overall, the only real winner I can say from these numbers is me. It was another really nice mail day from Night Owl Cards that I appreciated immensely. I hope to have another mail day or two head your way in the next few weeks Greg. Thanks again! 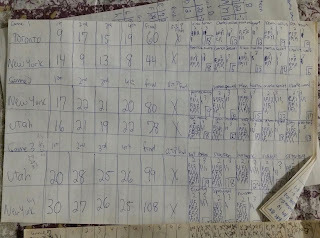 As for my playing card game, I am not sure my memory of it will ever come back so I can remember how I played it, at least for now I remember how to do my sport card one. And I do always have Monopoly, something I still enjoy today. I used to play baseball games with dice. 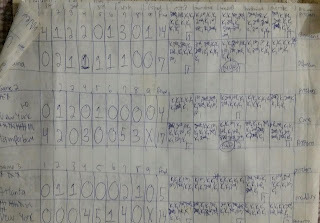 My brothers and I would keep score by innings and everything, it was quite involved. When you live in the Northeast, you have to figure out how to keep the game alive inside! 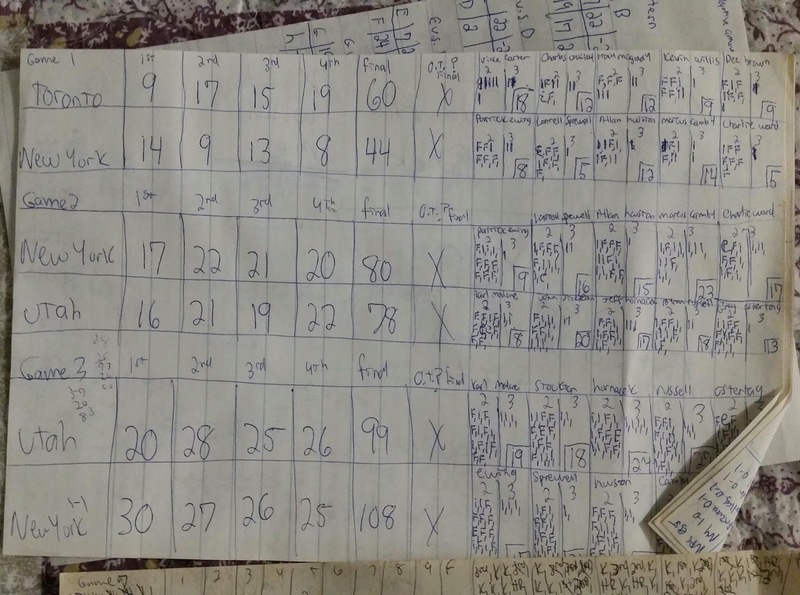 It's too bad you can't remember how your games were played, as those score cards (papers) look like they would have been pretty interesting to hear about. I think a lot of folks made up games when they were young, especially if you grew up before the handheld device era began. It seems like that's something that today's kids will never to get to do, and probably not even be able to understand why so many of us look back to those times with such a longing. Quite the inventive mind! I still place dice baseball on rainy Sundays with friends during the summer. That's creative. If you ever remember how to play the game, I hope you'll share it on your blog. The closest I came to doing this was this game my family had on our Apple IIe. 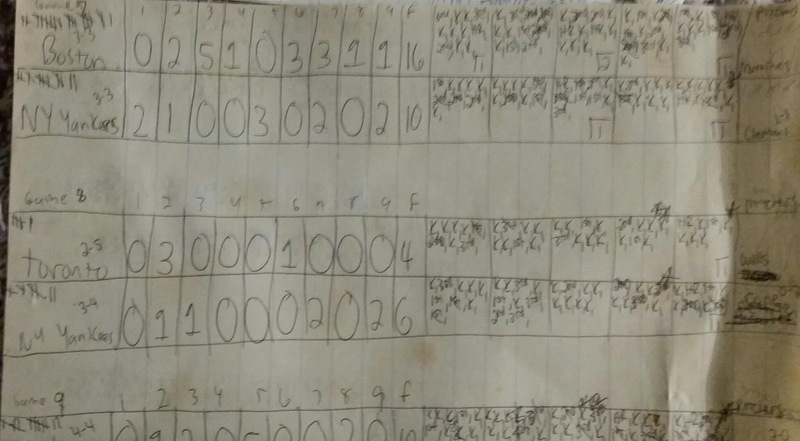 It was a simulator with the greatest teams of all-time where you played manager. I actually learned a lot of the game's biggest names by playing that game.